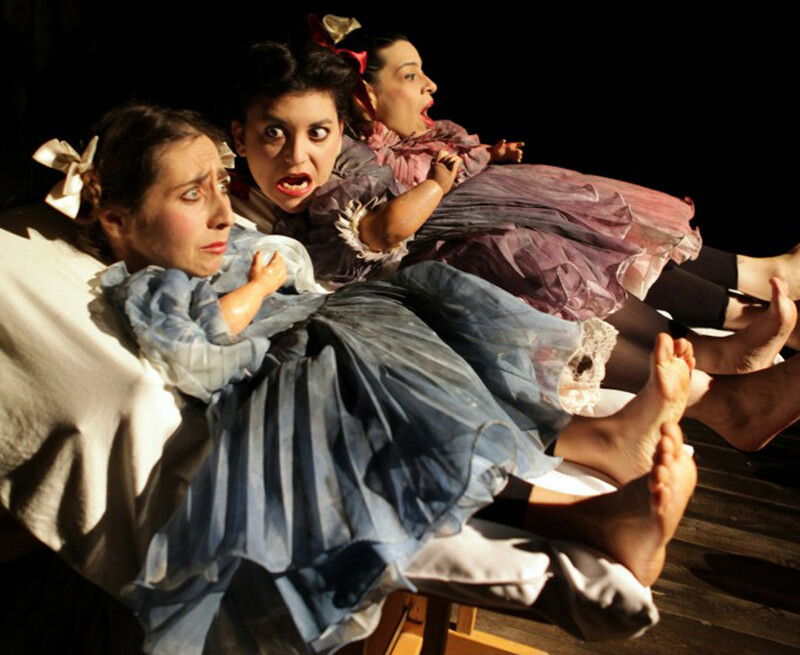 THE HOUSE BY THE LAKE is a performance that swings between the boundaries of musical cabaret and contemporary puppetry for adults. 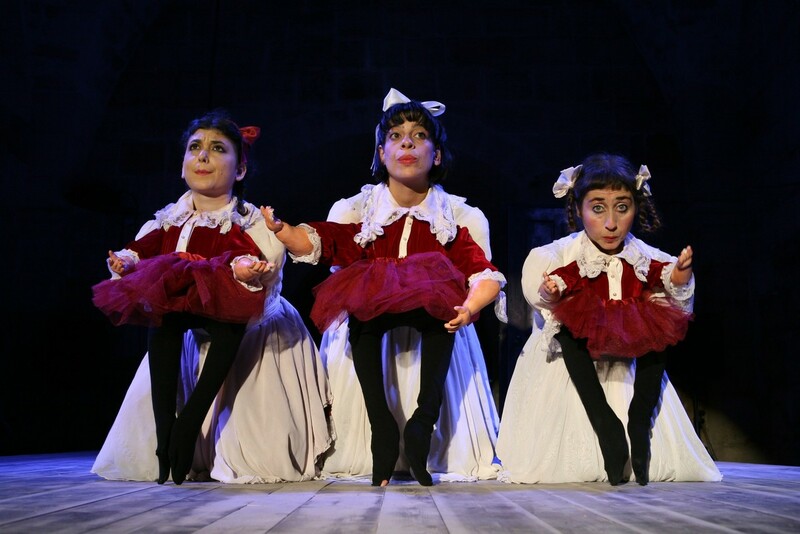 A cabaret singer, haunted by her unspeakable memories, tells the story of three sisters. Forced to hide in a tiny cold room, waiting for their mother to return, the sisters do their best to preserve a shadow of the life they once knew. While reality is falling apart, their bodies come together with pieces of broken dolls, creating a fantastic and absurd world. In this original and creative play, humor and tragedy are woven together, forming an overwhelming theatrical experience. 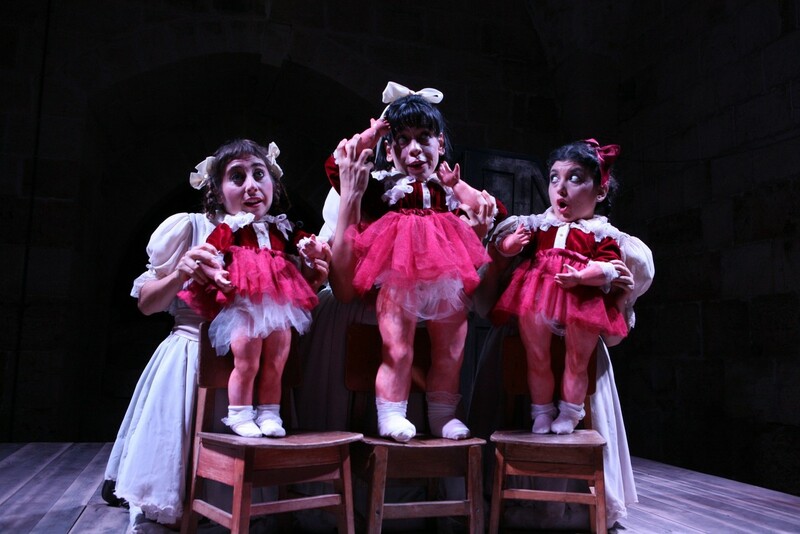 The Performance premiered at the ‘ Acco Festival of Alternative Israeli Theater’ in September 2010, where it received the Award for best Stage, Costume, puppet, object and lighting Design.